Gummi Rotorseals, manufactured by Deublin, enable pneumatic drum clutches to operate with through-the-shaft air supply.  Manufactured in 12 common sizes and styles of rotorseal, ICP distributes rotorseals to the majority of drum clutch applications covering a variety of industries. Gummi Rotorseals allow passage from a variety of mediums, ranging from pressurized air to hydraulic fluids, originating from a stationary source, such as a pneumatic tank, to a rotating piece of equipment. In addition, Industrial Clutch Parts Ltd. holds stock of original Deublin Rotating Unions, providing one of the most diverse inventories of rotorseals in the global power transmission market. Available and stocked in the UK for quick delivery. Gummi Quick Release Valves (QRV) are the ideal component for applications requiring an immediate release of air pressure at or near the clutch at the end of a cycle. Manufactured in a variety of sizes and styles for various clutch configurations and applications, available and stocked in the UK for quick delivery. All Gummi Rotorseals and QRV's are directly interchangeable in both size and performance with other leading brands.